It is a legal requirement that all horses and ponies must have a passport. 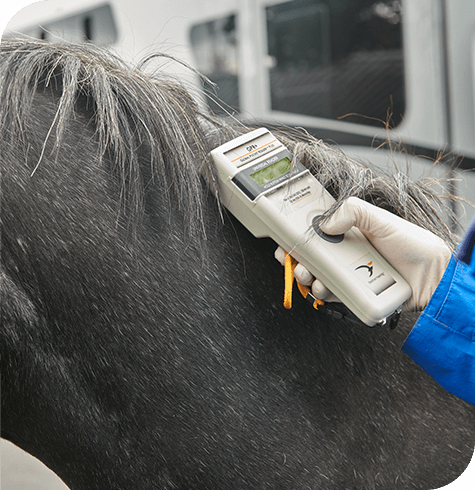 Previously, only those equines born since July 2009 had to be chipped; a new law is coming into force in October 2020 whereby all equines (no matter what age) must be micro-chipped. Owners of foals must obtain a passport on or before 31st December of the year of birth or six months after the birth depending on which is latest. If your horse does not have a passport your insurance may be invalid; you may also be liable to prosecution if you attempt to sell the horse. Horses are classed as food producing animals and as such, some drugs cannot be administered to them. Our advice is that all horses are declared not intended for human consumption in the passport; you can do this by signing Part II, Section IX. Please ask our vets for more details, this way we can ensure your horse will receive all the treatment they may need. This list is not extensive, for further details visit the DEFRA website.